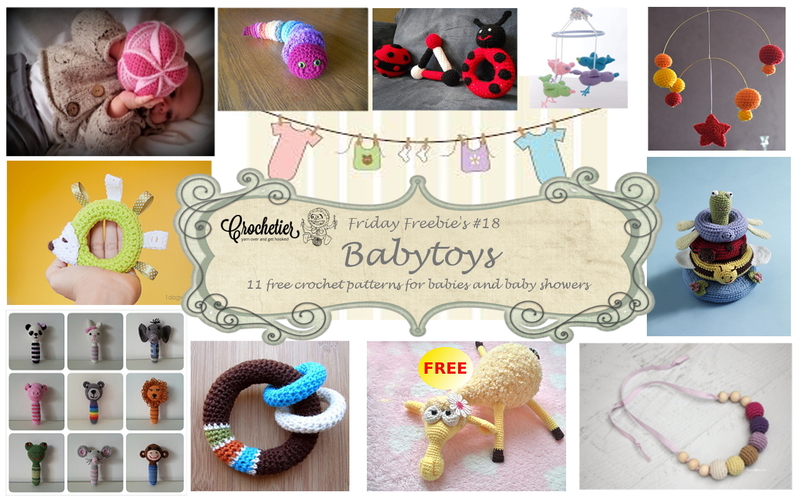 Whether you are waiting for your own baby to arrive or you are invited to a friend’s babyshower – here are 11 cute and free crochet patterns for babies that are the perfect gift! 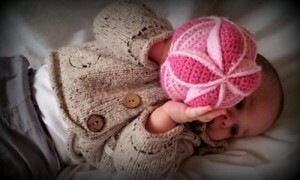 This week there are a lot of free Ravelry downloads included – so you might want to sign up for Ravelry (it’s free and easy!) HERE. 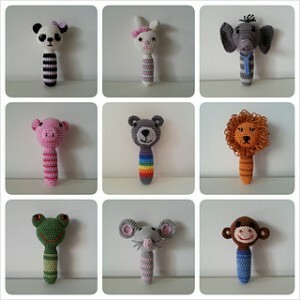 Remember when making toys for babies: there should be no loose endings or buttons or anything that a baby could choke on. 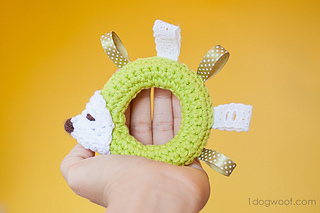 Also, when it comes to stuffing the toy, you might want to use a transparent sock to keep the filling inside, so that none of it peeks through the stitches. Now on to the beautiful patterns : Simply click on the name to get linked to the pattern! The ball is perfect for little hands and enquisitive minds! 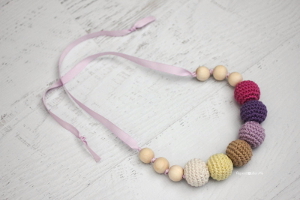 It will make the perfect gift for any new baby (or Mom!). This hedgehog baby toy would make a great gift at your next baby shower. 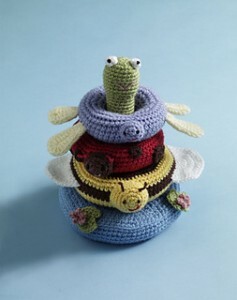 The ribbon taggies are worked directly into the crochet stitches. Aren’t they adorable ? One for each taste! 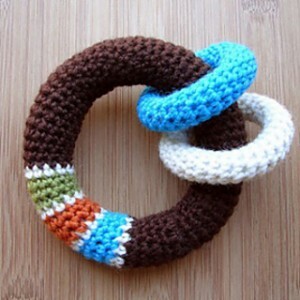 So cute and perfect to use up remaining yarn in different colours! 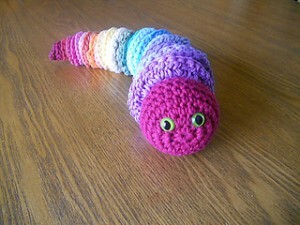 The eyes may be replaced by stitching them onto the worms face. 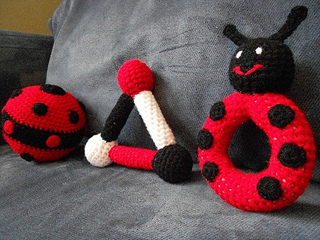 This donwload includes a rattle, a ball and a triangle rattle. 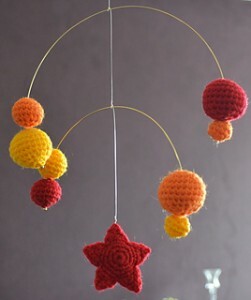 Present this delightful crochet mobile at the next baby shower! 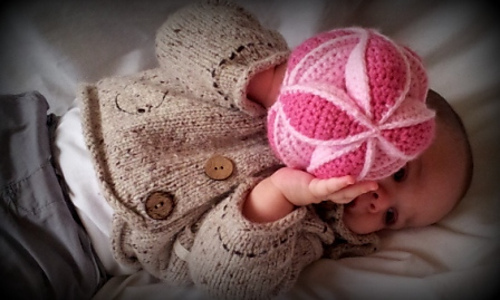 The colors and shapes will stimulate newborn babies and help toddlers learn their colors. So easy, yet so beautiful! And so many differnt possibilities using this pattern as skeletal structure! One present to please both, mommie and baby! Counting sheep could be a great method to fall asleep but… wouldn’t it be nicer to hug one of these sweet fluffy pals? This toy is intended for children over 3 years old, but I just had to put it here because it is sooooo cute! Share this with your friends, if you liked the round up!